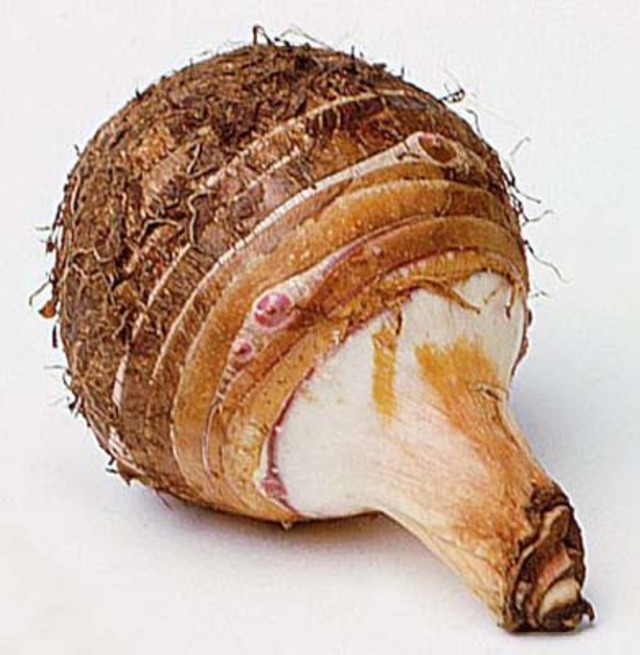 Taro - plant used primarily for its edible root and leaves. 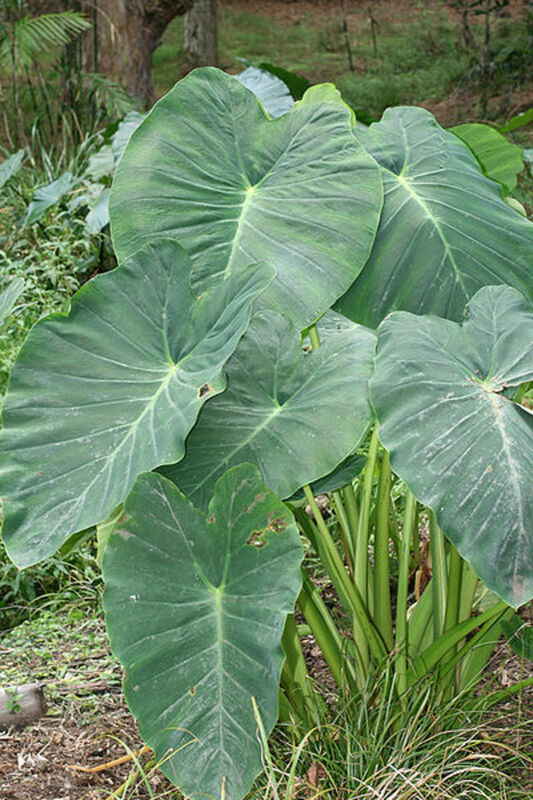 The edible leaves of the taro plant. Not usually a local Barbadian food choice. Eaten more by persons from the other Eastern Caribbean (St. Vincent, St. Lucia) and Trinidad and Jamaica. 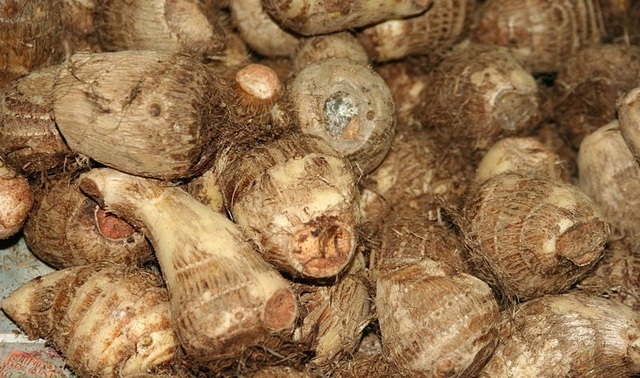 The second picture above is not of a dasheen plant but is of a coco plant - a much smaller vegetable - (the dasheen plant has a red colour in middle and stem of leaves (as is evident inthe first photo) and the coco plant is pure green). Not sure whether the coco leaves are edible. 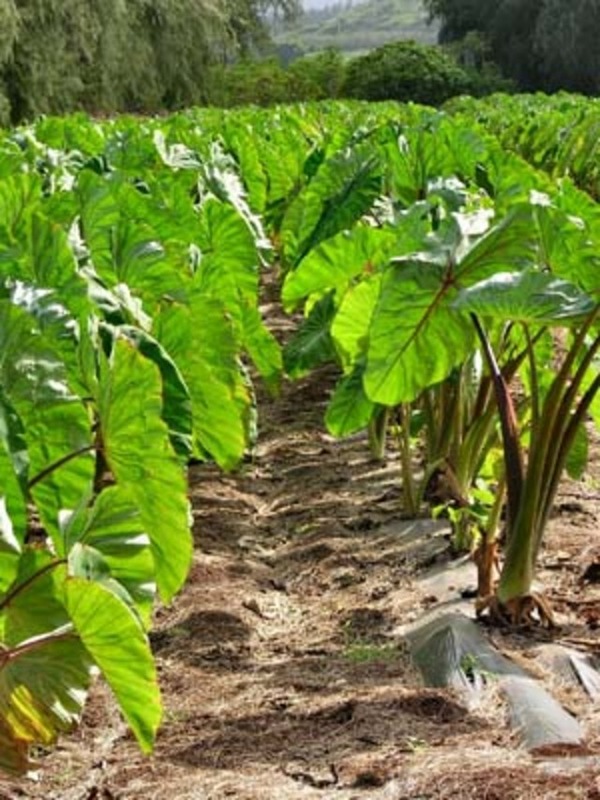 Not all St Lucians eat the leaves of the dasheen plant. This plant is not dasheen but it is the family of dasheen in the center of the dasheen leaf is a redish spot where by you can either cook the leaf or ever dig up the dasheen itself and cook it some of the other family plants are edoes, tanya and as we say wild dasheen that you can't eat.